A new LMU project explores ways of monitoring global water consumption. Its primary goals are to determine the total volume of water required for food production, and develop incentives to encourage the sustainable use of water. In the Department of Geography at LMU a project entitled “VirtualWaterValues” is getting underway, which is designed to foster the sustainable use of a vital but widely overlooked resource – water. Its major aim is to develop new models for the quantification of water consumption in the agricultural sector, with a view to lessening wastage. 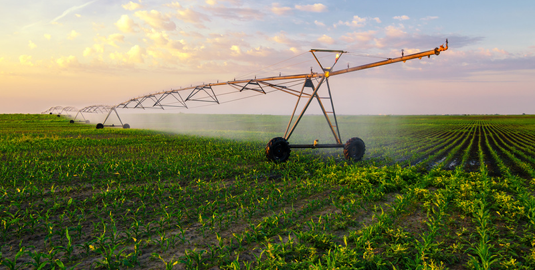 “We will develop better tools for measuring and monitoring the efficiency of water use in agricultural systems worldwide,” says Professor Wolfram Mauser, Chair of Hydrology and Remote Sensing and Coordinator of the project. The new monitoring systems will focus on determining the level of ‘virtual water’ contained in various foodstuffs, i.e. the total volume of water consumed during their production. This will allow researchers to estimate how sustainable present patterns of water use actually are. In order to do so, the LMU researchers will, for the first time, combine data from remote-sensing satellites with climate data, and analyze them with the help of Munich’s supercomputer SuperMUC. These data will be used to identify regions in which current levels of water use are unsustainable in the long term. Furthermore, the LMU team and their partners in the project intend to subject the entire process of food production and distribution to an economic analysis that accounts for the actual volumes of water consumed along the way from the primary producer to the consumer. On the basis of the results, incentives will be developed to enhance the efficiency of water use in agriculture. The project therefore represents a contribution to the achievement of the sustainable development goals set out by the United Nations. These goals include ensuring access to adequate amounts of clean water worldwide, ending hunger, achieving food security and promoting sustainable agricultural practices. The collaborative project involves seven partners including researchers and commercial enterprises, and will receive 3.6 million euros in funding over the coming 3 years from the GROW (Global Resource Water) Initiative, which forms part of the Program of Research for Sustainable Development (FONA) developed and financed by the German Ministry for Education and Research (BMBF).